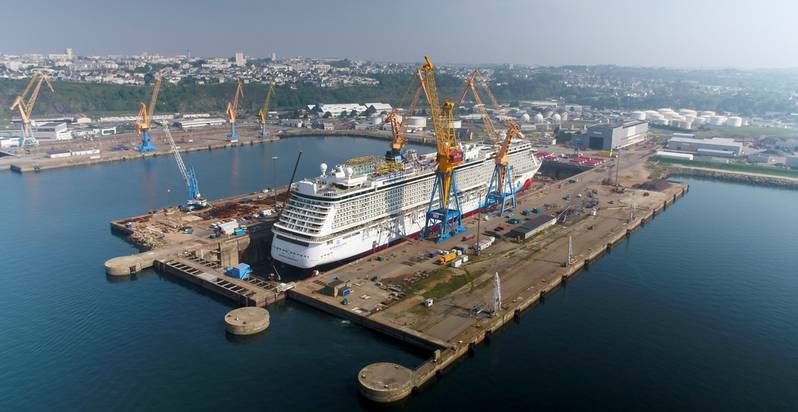 The 326-meter, 146,000 DWT, cruise ship Norwegian Breakaway arrived in Brest on April 28 for 11 days of scheduled maintenance and refurbishment. At the same time, DSBr technicians worked with personnel from Brunvoll AS to undertake maintenance of the vessel’s three bowthrusters, as well as dismantling, maintaining and then refitting the two Fincantieri stabilisers. The hull was also repainted, which involved the usual paintworks plus the decorative artwork on the vessel’s forward topsides. 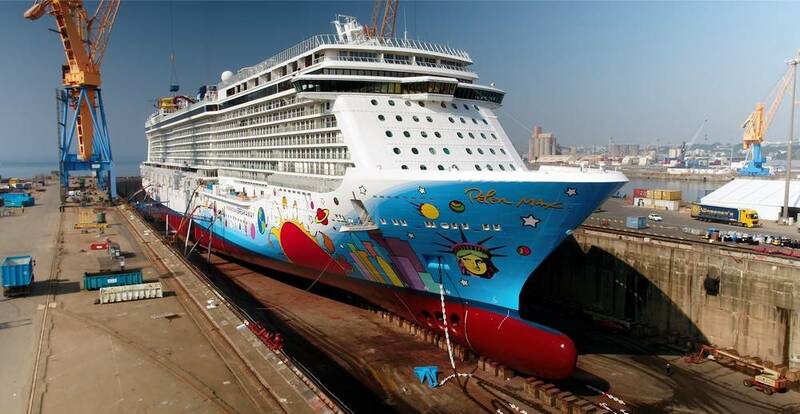 While the Norwegian Breakaway was in DSBr’s 420-meter, number 3, dry dock, large quantities of the carpets inside the cruise ship were removed and replaced by a specialist contractor as part of a rolling program. DSBr managed the 24/7 logistical flow, ensuring that old carpets were removed on time and the new rolls available for fitting. In addition to the scheduled tasks, that yard also ensured that the client’s subcontractors received full support and handled a wide range of unforeseen requests ranging from the provision of materials and tools to the erection of interior scaffolding. The Norwegian Breakaway left Damen Shiprepair Brest on May 8 at noon, six hours ahead of schedule.